Ella Haley-Danley, M.Ed., is the newest instructor at Life Development Institute. 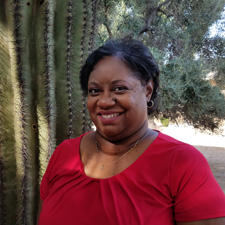 She brings with her ten years of experience working in special education in public schools in St. Louis, Missouri and Phoenix, Arizona. Before joining our staff, she was a consultant providing diversity and workplace harassment training. Ella received the Cambridge Who’s Who award while teaching in the Saint Louis Public Schools. She holds a B.A. in Organizational Development with a minor in Communications from Saint Louis University and a M.Ed. in Special Education from the University of Missouri St. Louis. In her free time, she enjoys live music, singing, traveling, cooking and spending time with family and friends.